Since there are so many items that have been donated they will be auctioned in groups of about ten at a time, every Monday and Thursday after 6 pm MST. We are using ebay and the active auction items will be listed in the sidebar on this website. Items will be listed for one week! Check back each Monday and Thursday for new items. The books my mom recommends to me are always good ones. This one was great. It centers around Primrose Squarp -- a young girl who is dogged in her belief that her parents, lost at sea, will be back shortly. But for all intents and purposes, she is an orphan. All kinds of antics ensue around who the State is going to get to be her guardian. The book is quite tasty. Sprinkled with recipes (the one for tuna casserole was a hit with us!) and with situations wacky enough to be fun and believable enough to keep you hoping for the best, it's no wonder its a Newbery Honor. 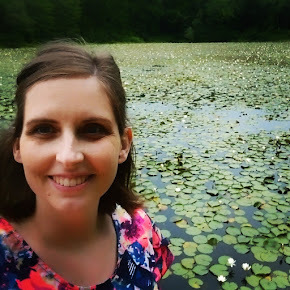 Project Book Babe is a charity event for a bookseller who has cancer. But, more than that, it is a gathering of tons of awesome authors! And a chance to hear them on a panel and win prizes! It will be held in Tempe, AZ on April 4th. I mean, seriously. This is the most awesome thing happening right now, probably. The only things I'm not excited about are the flights, the time away from Jacob, and the fact that a lovely bookseller had to get cancer to make this all happen. 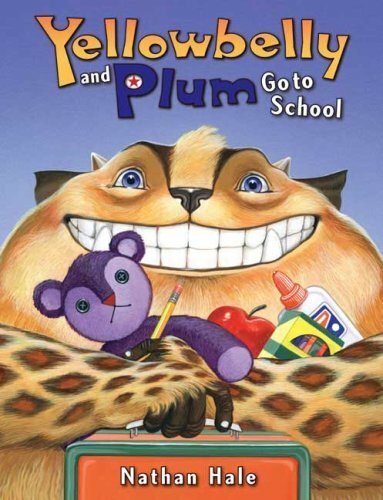 It recently came to my attention that this classic children's book is going to be made into a movie. I am both intrigued and worried. Do we have another Jumanji on our hands? A movie where the directors take only the basic idea of the book and run completely wild with it? Because really, there's not much to the plot of this children's book---even less than Chris van Allsburg's classic. Max gets sent to his room without dinner. He imagines an island inhabited by Wild Things over whom he becomes king. Then he leaves, even though they don't want him to. The end. I'm not seeing what the real driving angst in this film is going to be. Come October of this year, I guess we'll find out! Here's hoping for a good one! The third installment in the series by Hilary McKay about the hilarious Casson family. There is a great part about a chocolate cake/swamp. So that's why you really don't want to miss this one. It moved the Casson's story right along, and I'm looking forward to Caddy Ever After -- I think it will be more fun and less . . . disturbing (though the Cassons are charming as ever in this one and you get to know blundering David). 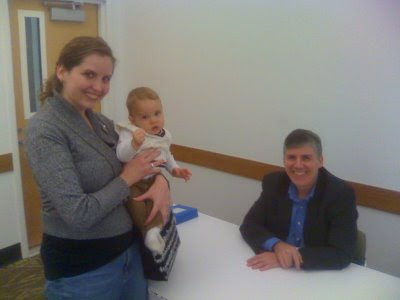 Benjamin meets Rick Riordan: We were lucky to be able to attend a Rick Riordan event at the Champaign Library on Monday March 9th. The author of the amazingly awesome Percy Jackson and The Olympians series came to the town to visit the library on Monday and do a few school visits on Tuesday. He was scheduled to sign books from 6 to 7 p.m. after which he would make a presentation in the library's largest conference room for the next hour. Then he would sign books again. Since the library's largest room seated only 500, and since Rick Riordan and his series are so popular, the event was ticketed. Tickets were only available to students in grades 3-12 in Champaign schools. Needless to say, no one in our family qualified. However we had been told that the presentation would be live streamed into other parts of the library. We arrived at the library around 5:40, full of hope and expectation. As we queued up to have our books signed, though, we noticed our camera was out of battery. So the shots you get are from Jacob's cell phone. About 5 minutes later Rick (I can call you Rick, right Rick?) showed up to start signing books! More than punctual, this guy was early! And as we slowly made our way up the line I noticed how amicably the author greeted each fan and chatted with them before signing their book. Rick seemed especially adept at making nervous preteen boys open up for a little bit of conversation. I loved that he complimented one boy on his homemade Camp Half-Blood t-shirt, saying "That's better than the one I have. I always tell people, 'If you want a really good one, make it yourself.'" On our way to the front we talked for a moment with Betsy Su (Champaign librarian extraordinaire and organizer of the event). She seemed happy that everything was going so well, and told us that we'd be able to watch the presentation from the cafe area of the library. Yes! :D If you love books and want to organize book signing events like Betsy, then see some librarian degrees offered by accredited institutions. 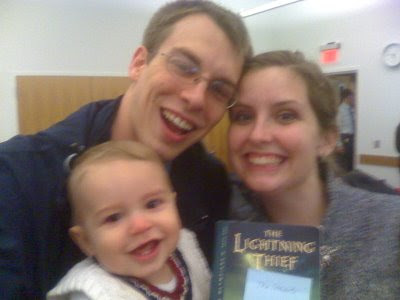 As Rick Riordan signed our books, we told him about how The Lightning Thief had been just perfect for our drive out from Utah when we moved here. (Thanks Laura!) We had a good little chat and got the picture above. As we waited for the presentation to start we fed Benjamin the rest of his dinner, and I watched kid after kid emerge from the signing room grinning. Awesome job Mr. Riordan! And the presentation itself was quite fun. It was geared well to his audience, complete with stories of his own school days, his first rejection letter (which he got in the 8th grade and which his mother framed. Odd thing: When his mother's house burned down the letter was untouched amongst the wreckage! She has since re-framed it. ), upcoming movie news, and Greek mythology quiz with prizes! He really did an excellent job. He also read a bit from the beginning of the 5th book, and if you know Rick Riordan, you know he gets straight to the action. I'm pretty much dying to read the rest already! Luckily for me book 5 comes out on 5-5. Just One Wish by Janette Rallison. This is Janette Rallison's newest! It has been released, but I didn't see it at my Barnes and Noble last weekend. I'm sure it'll be on the shelves soon, though! This is the story of Annika Truman and her little brother Jeremy, a cancer patient. Jeremy is going in for surgery soon and Annika is willing to do anything to help him feel confident about how the surgery will go. So when Annika discovers that Jeremy's biggest wish is that Teen Robin Hood (of his favorite TV series) would come and teach him some archery, she goes to Hollywood to make it happen. This is another good Rallison book -- it's got laughs and romance and some hiarious hijinks! I loved being on the set of Teen Robin Hood -- it took me back to my days (okay, day; there was only one) on set as an extra. Oh, and the opening scene in the shopping mall was quite hilarious. No swearing or other questionable-ness that I remember in this one. It's safe for all ages, but will probably be enjoyed most by the female teen crowd. Thumbs up! Ashley is reading it now, so we'll give her a little while and then let her post her thoughts on it, too. Slartibartfast (Douglas Adams' The Hitchhiker's Guide to the Galaxy). Books that bring back happy memories.